Two major victories in two days. New York City’s Landmarks Commission voted to deny requested alterations to the interior of the Four Seasons restaurant in Manhattan. The interior had been designated years ago, but the current owner nonetheless wanted to make changes that would have harmed its integrity and historic fabric. 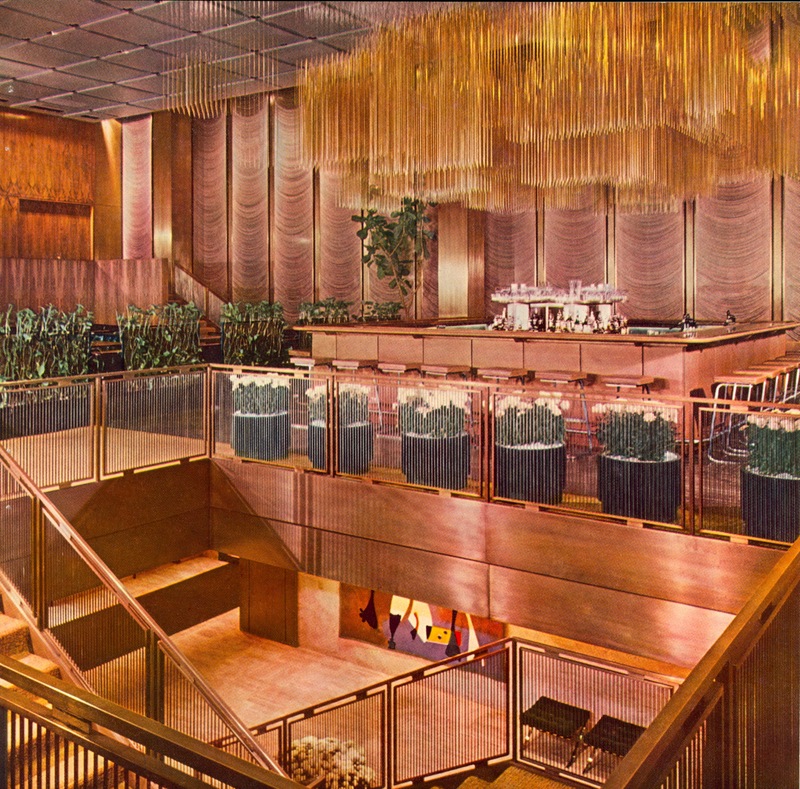 The Four Seasons remains my favorite restaurant interior in the United States. The other big victory was in Los Angeles. 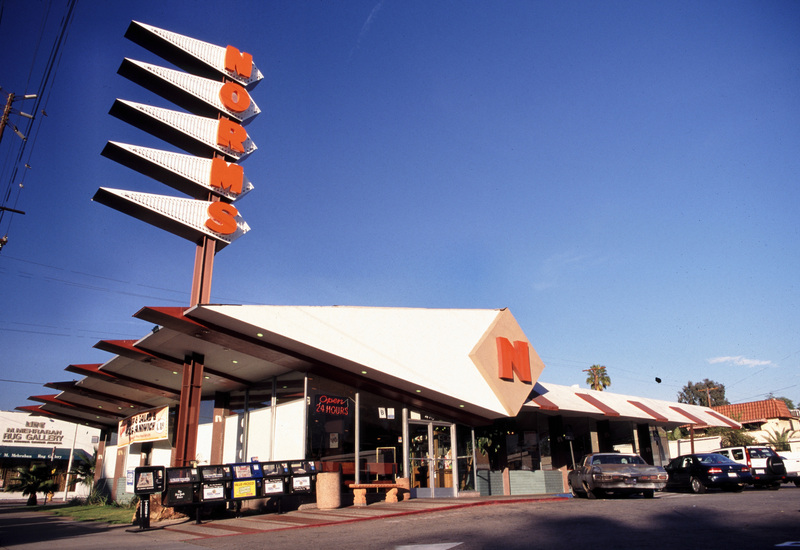 One of the best remaining examples of Googie style 1950s coffee shop architecture was declared a Los Angeles landmark! Hopefully, this will motivate the new owner to keep rather than demolish the building, which is what motivated the nomination. Norm’s La Cienega on the border of Los Angeles and West Hollywood.